I've heard lots of good things about Grub but I've never really gotten the chance to go down and try it. Opportunity came by one day during the holidays! I was so glad I managed to make a trip down, because Grub is nestled in the greenery of Bishan-Amk Park. Imagine sipping tea while staring at playful otters peeking out from the pond. 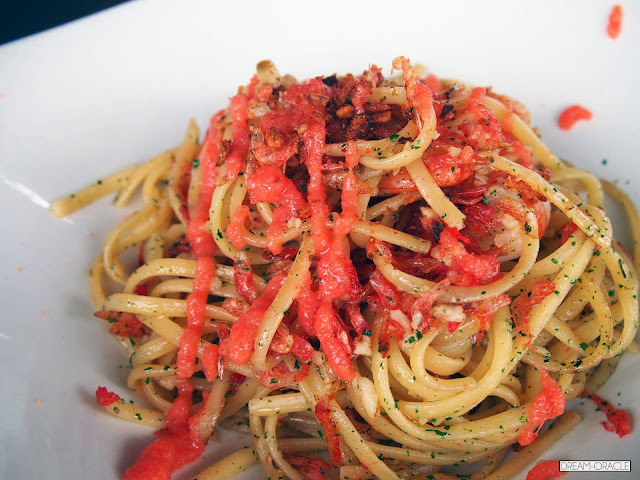 I spent a leisurely afternoon there slurping up yummy pasta and feeling very relaxed. Another good thing about Grub is the abundance of natural lighting makes it easy to capture beautiful well-lit shots! 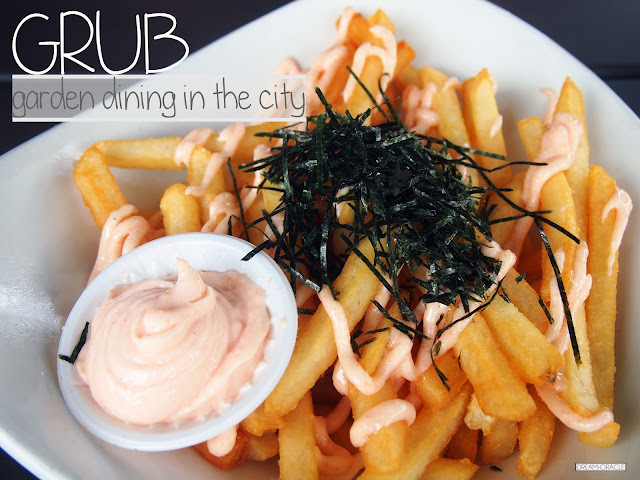 Everyone who comes here raves about the Mentaiko Fries andddddd....I am not an exception! 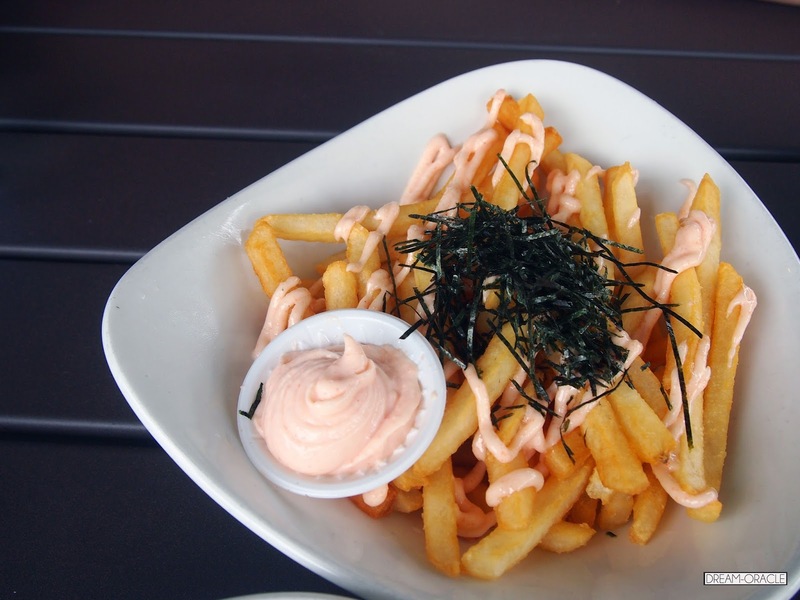 I love that the Mentaiko Fries are a light refreshing change from the ubiquitous truffle fries, and the mentaiko aioli complemented the fries nicely. 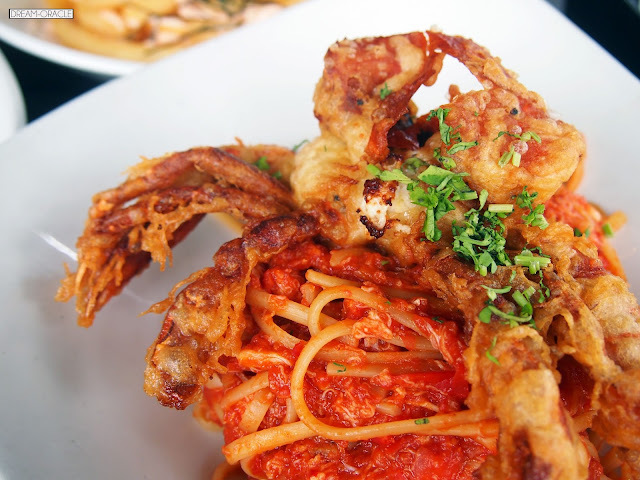 Check out that humongous deep-fried soft shell crab! My dining partner enjoyed this tremendously, the sauce has a spicy kick with a mildly sweet naunce to it that is so classically a Singaporean chilli crab flavour. 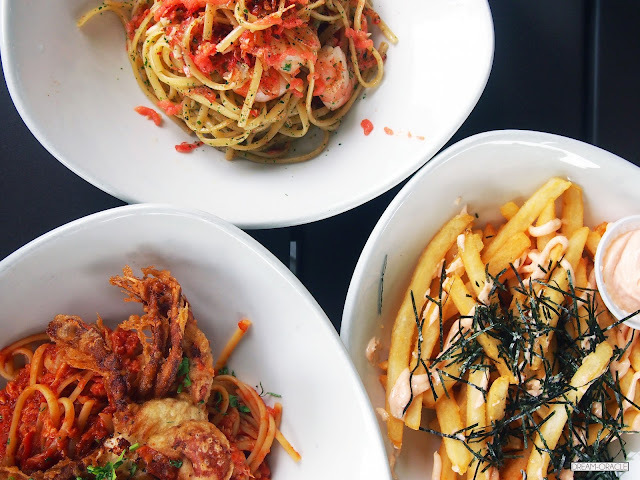 The only downside is if you're not good at spicy food, you might have to give this a miss as the spiciness tends to build up as you go, so you might need lots of ice cold water to combat that. Initially I was a little skeptical about this dish as I was afraid they'll serve up a plate of linguine swimming in creamy mentaiko sauce. Thank goodness the good people at Grub had a more interesting take on this dish and it happened to appeal to me more than creamy noodles. The linguine was cooked al-dente and had a nice bite to it. It was then tossed in garlic and chopped parsley and topped with some magic mentaiko sauce and tiny sakura prawns. It might not seem like much but when I took my first bite, I was blown away. 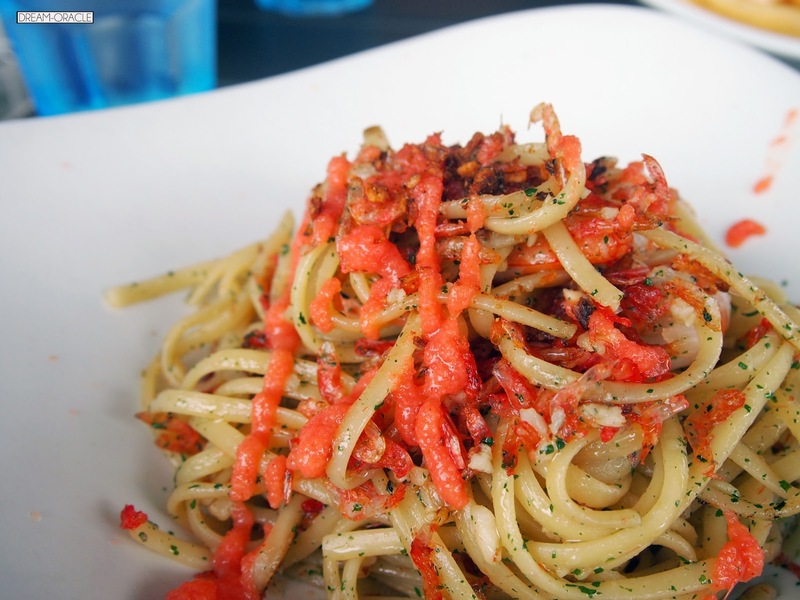 This dish has a deceptively simply look, but it definitely doesn't taste simple. The addition of the sakura prawns added a nice texture to the dish. This is a dish I will return for. 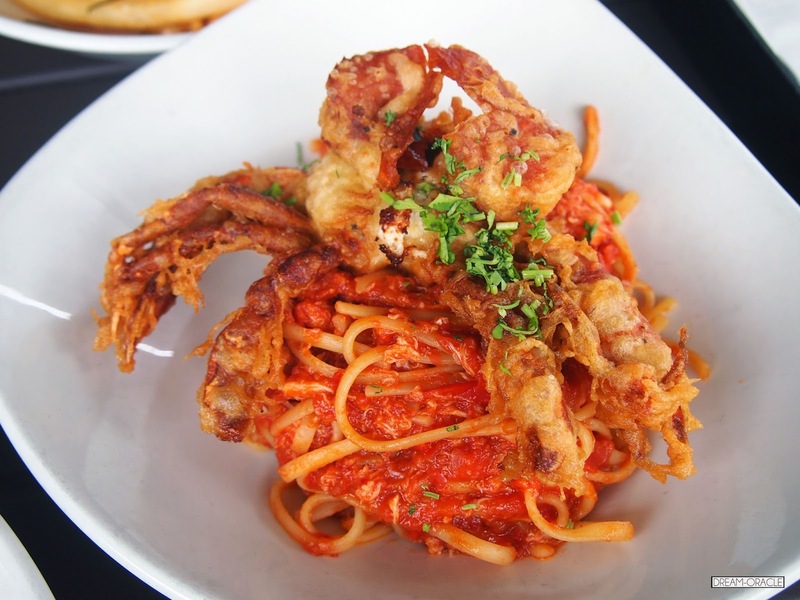 This dish has a very festive holiday vibe. Must be the fries in the happy red mug. 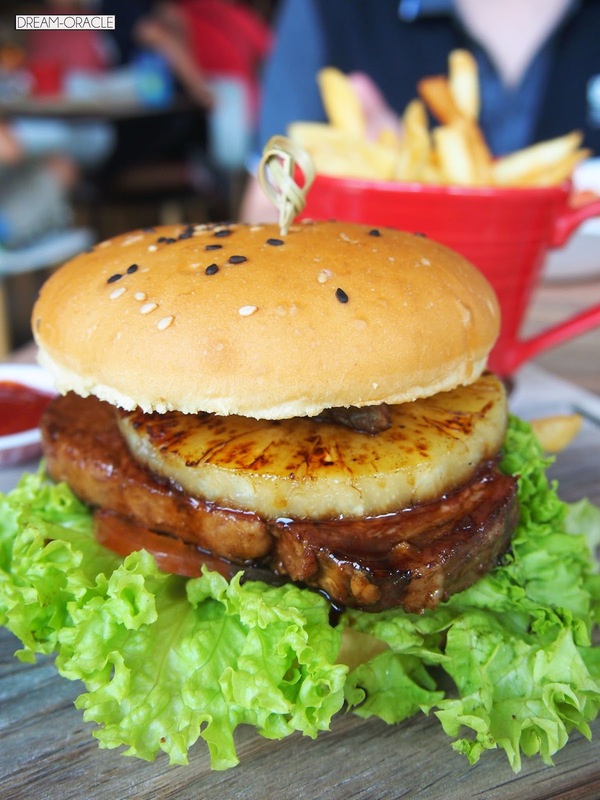 The burger boasts a delicious pork steak that has a nice bite, and the grilled pineapple was an interesting touch. Reminds me of Hawaii haha!